Who knew a post for such a simple recipe would take us almost three months to put up on the blog! We made this dish while up at Sean’s family’s house for Spring Break back in March, and then school kinda prevented us from ever posting it. Setting that aside, I remember this recipe coming out pretty tasty. 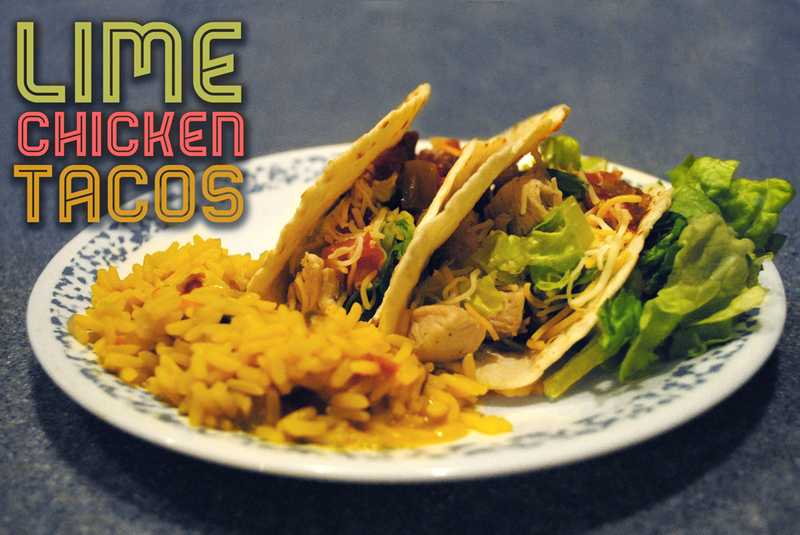 So here it is, better late than never, our blog post for Chicken Lime Soft Tacos. 1. 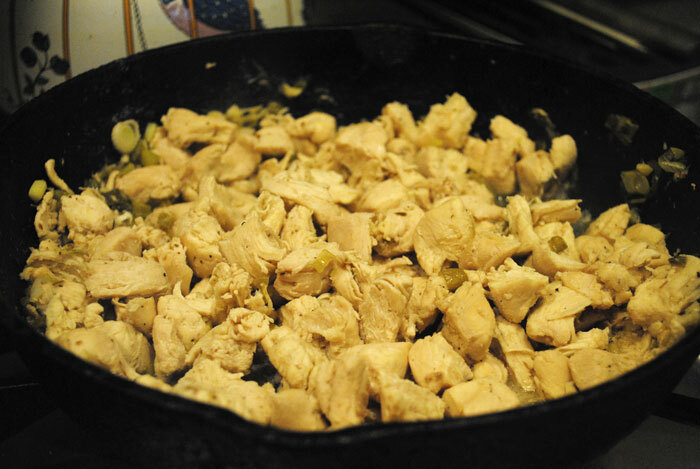 Saute chicken in a medium saucepan over medium high heat for about 20 minutes. Add vinegar, lime juice, sugar, salt, pepper, green onion, garlic and oregano. Simmer for an extra 10 minutes. 2. Heat an iron skillet over medium heat. 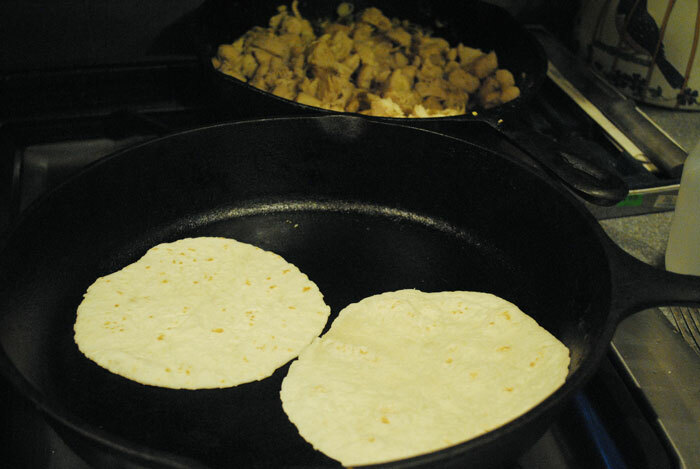 Place a tortilla in the pan, warm, and turn over to heat the other side. Repeat with remaining tortillas. 3. 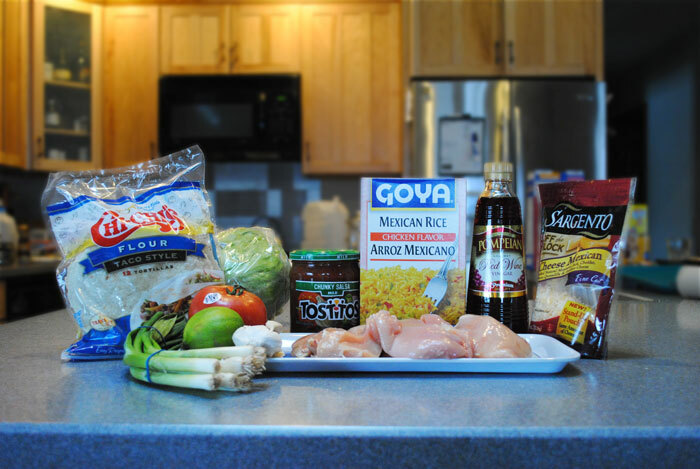 Serve lime chicken mixture in warm tortillas topped with tomato, lettuce, cheese and salsa. 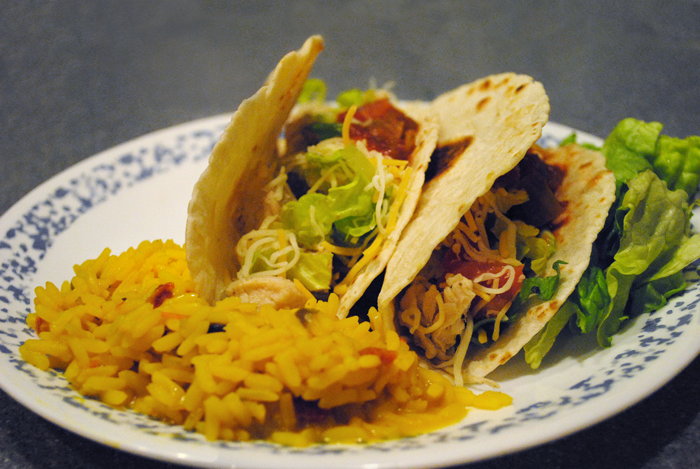 We finished the dish off with some Mexican rice on the side, which complimented the tacos very well. 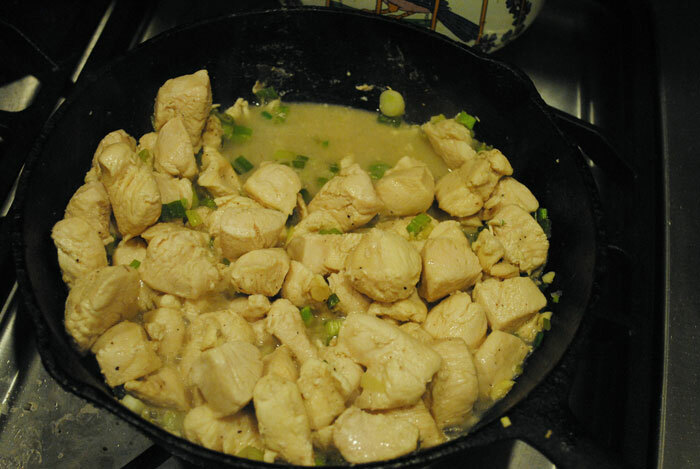 This recipe came together pretty quickly after all the prep work was done (we spent a good amount of time cutting up the chicken, tomatoes, and green onion). I think overall we were pleased with how this turned out, and it was fun to cook with some family around to give us some helpful hints along the way. If you’re looking to add some variety to your normal taco night, be sure to give this recipe a try!